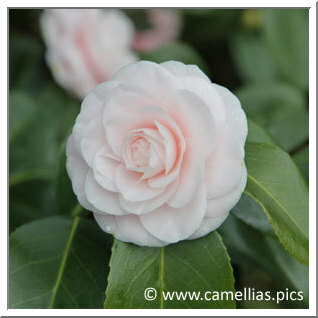 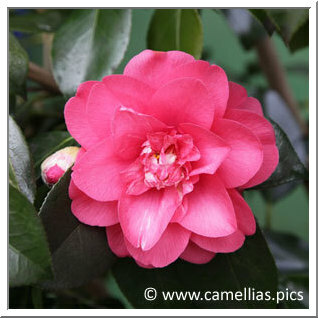 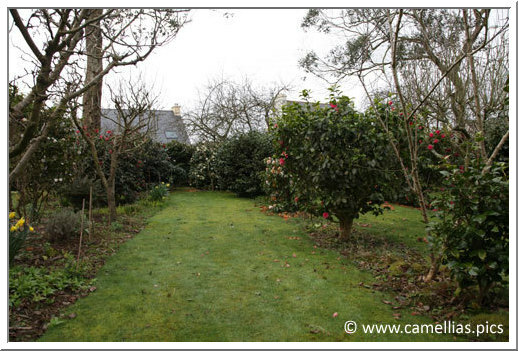 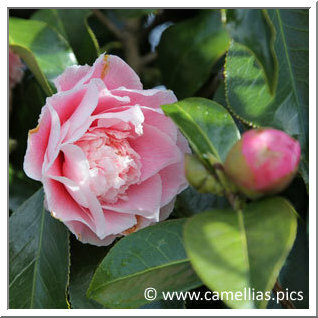 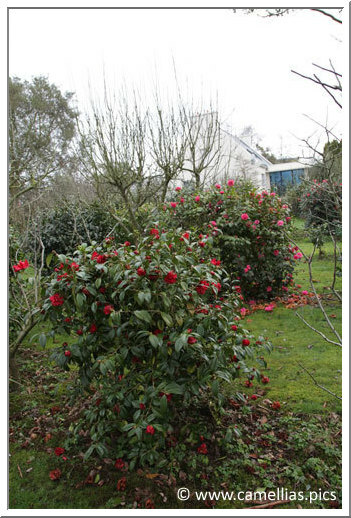 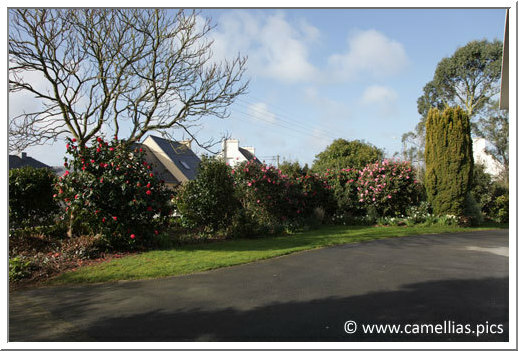 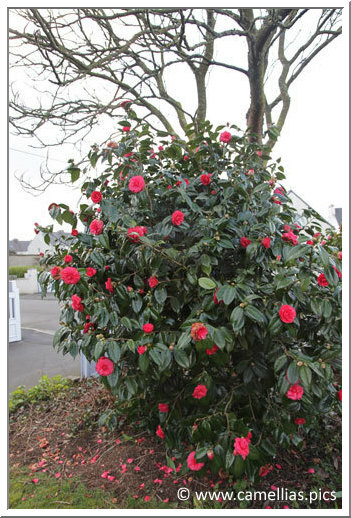 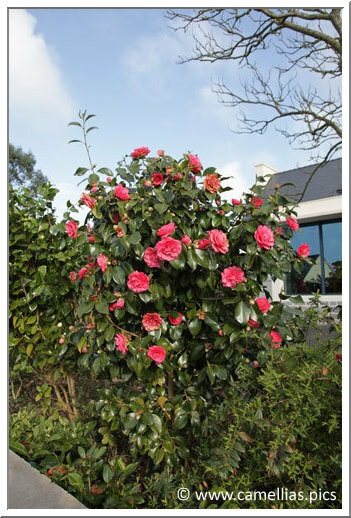 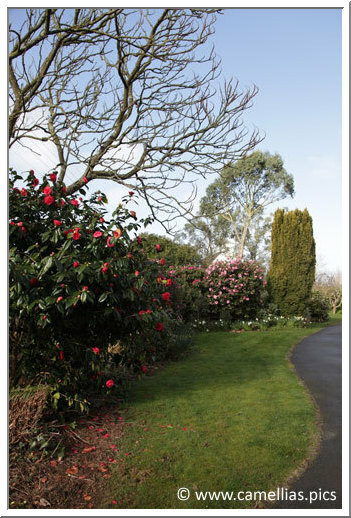 Here is the city garden of a professional (Director of School of Horticulture, now retired), passionate about camellias. 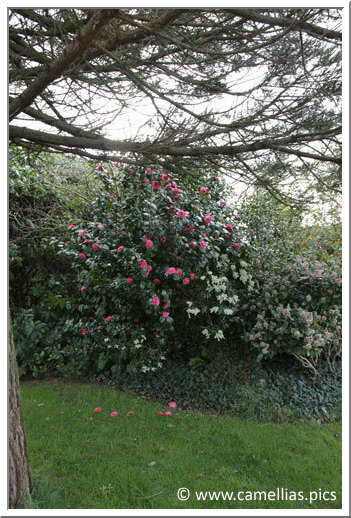 He has a fine collection and choosed to pursue a hedge. 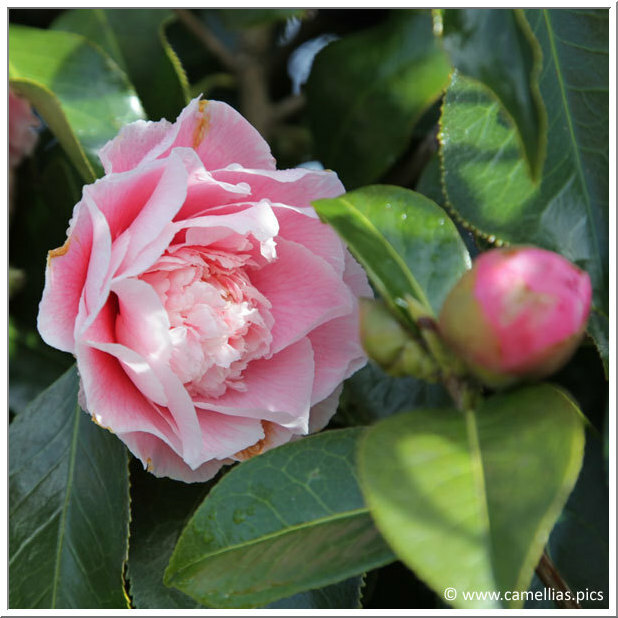 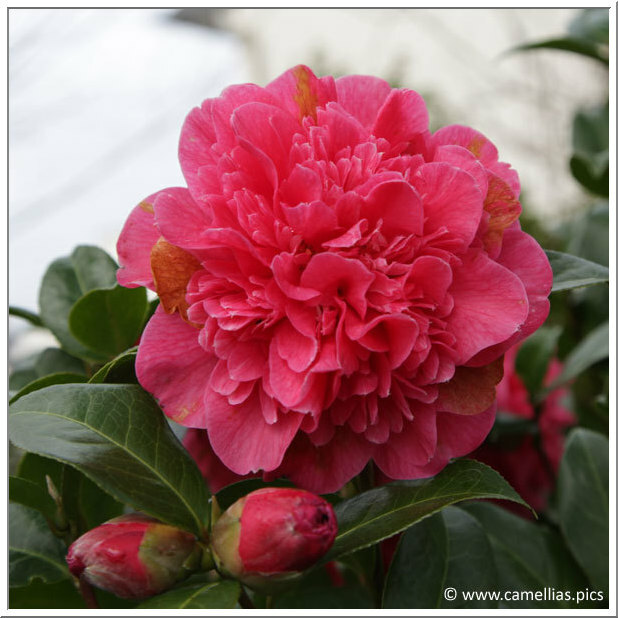 This garden may give ideas to those with more limited space and still seeking to highlight the camellias and other plants in peaty soil. 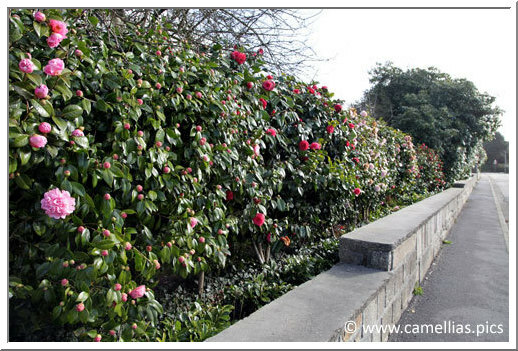 Overlooking the street, here is a hedge of camellias. 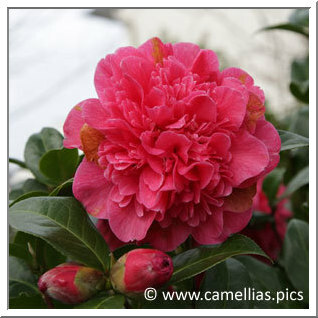 It is persistent and very beautiful in season. 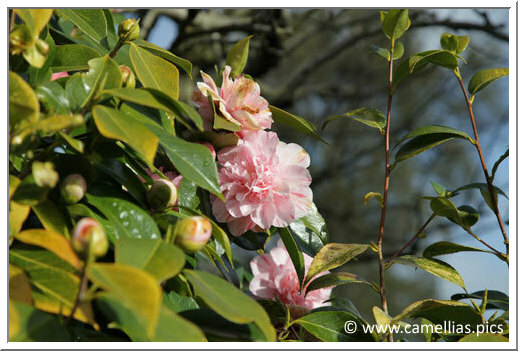 'Kick-Off', photographed in the hedge.